Keeping in mind the development aspect, people of the area will be contributing to the development of the refinery project in the area, appealed to the project affected farmers of Nare who came to the study center of the former Sarpanchani in the village of Panipat (Haryana) Refinery Project. Rajapur: If you want to provide employment resources along with the overall development of your area, there is no substitute for the refinery project, but it has been proved from the refinery in Panipat. This project has transformed the villages. The project was started for twenty years. There has been no incident of any such kind of damage or loss during this period. Therefore, there is no reason to keep frustrated with the refinery project. Keeping in mind the development aspect, people of the area will be contributing to the development of the refinery project in the area, appealed to the project affected farmers of Nare who came to the study tour of the grandmother of former Sarpanchani in Panipat (Haryana) Refinery Project area. The largest petrochemical project in the country is happening in almost 14 villages in the region. In the past two years, there is an atmosphere of opposition from the local people on this project. A trip to Panipat Refinery Project in Haryana was organized by Ratnagiri Refinery Petrochemical Company for the purpose of resolving the suspicion and authenticity of this project. During this tour some farmers, landlords, gardeners and journalists were involved in the Nagar area. He also talked to some grandmothers - former sarpanches in the Panipat area. 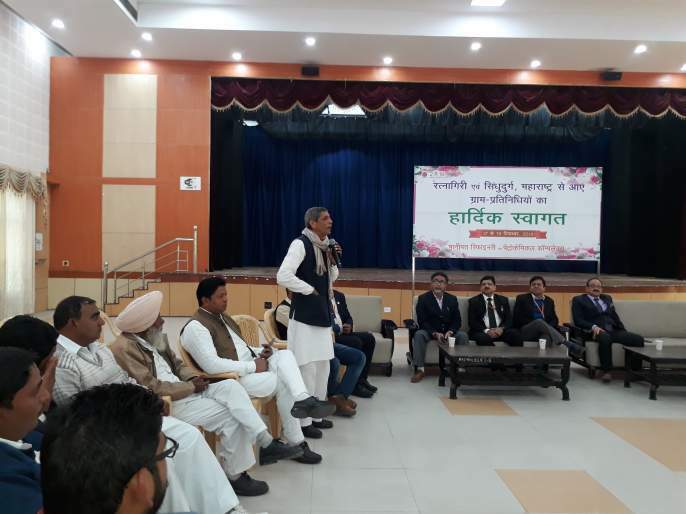 Among them Sarpanch of Khorakheri Ranjeet Singh Kashyap, Sarpanch of Kuthan village Balwan Singh, Sarpanch of Synthana, Satpal Singh, Sarpanch of Dadalana, Deepak Rana, former Sarpanch of the same village, Nanpal Rana, Sardar Sajjan Singh, former Sarpanch of Boholi village. At this time the villagers of Naane area also discussed with the officials. During the discussion, officials of the Nagar area and representatives of the people are ready to discuss the refinery project. For the past several years this entire area of ? ?Panipat has remained green. Animals in this area are freely flowing around. There are trees, the water here is not even polluted. Accordingly, the false information about the Nane Refinery project is being created to create anonymity.